You’re invited to celebrate with our Western Financial Group Brandon team on our 100th year in business. This day is about you, our customers and we thank you. We have the same commitment to clients as we had a century ago in 1919 — providing Brandon the right personal and business insurance, at the best value. A tight-knit community, our brokerages in the city have flourished — we value your business and your trust in us. We’ve seen clients — now friends — grow and celebrated their successes in life. “Now we’re (working) with a second and third generation of customers, as the parents refer their children to our agency,” she said. 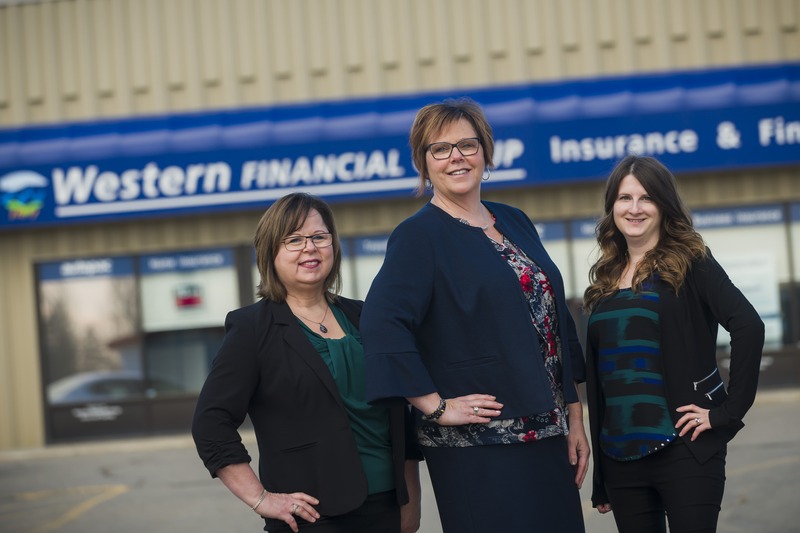 Supporting Western’s charitable arm, the Western Communities Foundation (WCF), and its mission to build communities across Canada, is important to the Brandon team. Our brokers have pedaled hard for the Heart and Stroke Big Bike Ride, hosted BBQs for the Women’s Resource Centre and supported the WCF and the United Way Brandon & District — that’s just a start. “We give back wherever we can,” Hiltner said. We’re excited to meet everyone at our two Western Brandon brokerages on celebration day, May 2. Visit us for coffee and treats at #1 1830 Park Avenue or Corral Centre at #15, 825 18 Street North from 9 a.m. to 4:30 p.m.